In early 1952, the Chinese Islamic leaders Burhan, Depusheng, Makien, and Pang Shiqian began organizing a Chinese Islamic association. They invited representatives from all the Muslim communities in China to the First Islamic Conference, held in Beijing in May 1953. 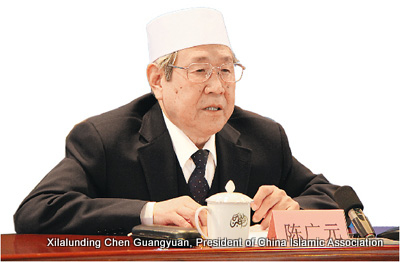 This marked the birth of the Chinese Islamic association, the national organization of Chinese Muslims. The members and standing committee members of this body are elected at congresses of representatives from all the Muslim communities of China. A total of 270 local Muslim organizations at various levels were also established, one after another. 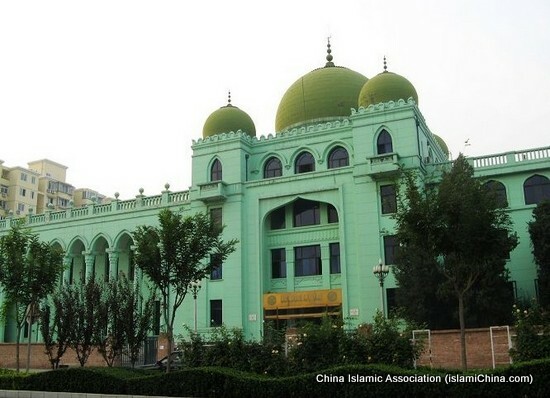 The Chinese Islamic Association mainly engages in collecting and collating Islamic books, records, and cultural relics; researching Islamic history and creeds; and organizing pilgrimages to Mecca. The Association publishes Muslims in China, a bimonthly founded in 1957. It is published in Chinese and Uygur. Its contents include the results of research into Islamic history and doctrine, recommendations on Islamic classics, and discussions about the implementations of the governments policy on freedom of religious belief, The magazine introduces to its readers the teaching experiences of the Islamic institutes in various parts of the country and the principles of democratic management for the mosques. Furthermore, it reports on Chinese Muslims contributions to activities designed to safeguard world peace and on their friendly relations with other Muslims in the world. Ten Islamic classics, including the Koran, have been translated into Chinese and Uygur and published under the direction of the Chinese Islamic Association. These books are distributed all over China. The association has also published some Islamic dictionaries. It encourages Muslims to strengthen national unity and take an active part in Chinas modernization. In July 1955, the Chinese Islamic Association set up a national Chinese Islamic Institute in Beijing for the training of specialized Islamic personnel. Here they hold advanced training classes for Ahungs and mullahs (Islamic scholars). The five-year course of study includes classes on the Koran, religious etiquette, creeds, history of Islam, Arabic language, Chinese language, politics, and general history of China and the world. About 70 percent of the curricula are Islamic courses and 30 percent courses for raising the general educational level of the students. There are also eight other Islamic institutes in China. They are in Shenyang, Zhengahou, Lanzhou, Yinchuan, Qinghai, Urumqi, Junming, and one more in Beijing. Students can enter these institutes directly after high school graduation. The training course is aimed toward producing Imams for the many mosques in China. Such training is considered of primary importance by the Chinese Islamic Association because there are still some senior Imams in rural and grassland areas of China who don't even know how to read and write. The Chinese Islamic Association has established friendly relationships with Islamic organizations in more than 40 countries, sent delegations to visit these countries many times, and taken part in the Asian-African Islamic Conference and the international Islamic Thought Seminar. The number of Chinese Muslims who go to Mecca on pilgrimages in increasing year by year. There are 13,000 Chinese Muslims who perform Hajj in 2010.